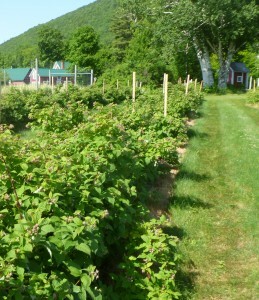 The good news – it looks like the raspberry crop will be ok this year. 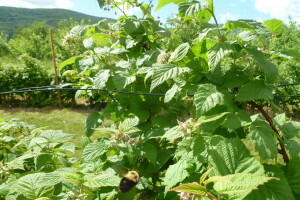 There are green berries on the bushes now – there were lots of bumble bees pollinating a few days ago – if you look closely, you can see a bee - they are hard to get in the photo. Berries will probably be ripe in about two weeks – estimate July 8′th – I will post a few days ahead when we have a better idea. 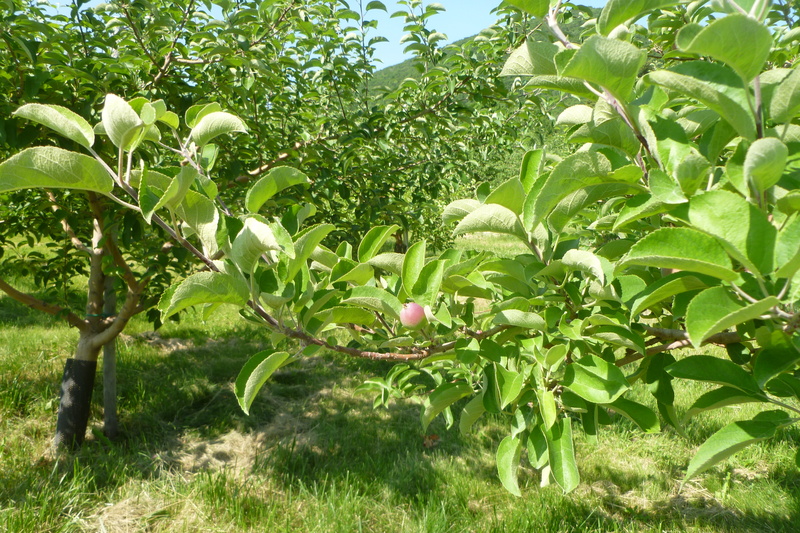 Now the bad news – the apple crop overall will be about 20% of a normal crop – about 80% was lost due to the hard freeze (5 degrees) on April 5′th. 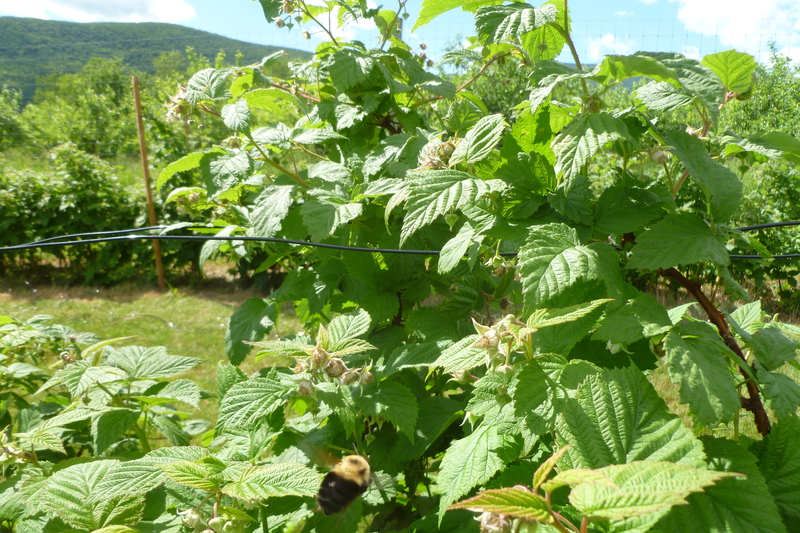 Some varieties managed to produce quite a bit of bloom, but the flowers were very weak and if they did get pollinated and set fruit, it was very small and most has dropped off. The fruit set is very uneven – varies a lot tree to tree and variety to variety. 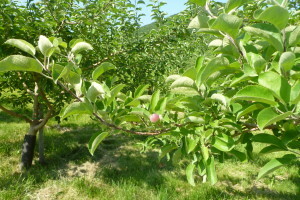 The Galas appear to have the most fruit – the picture shows a lonely McIntosh on one of the old trees. There is a small crop of Honeycrisp and other varieties. It is disappointing to have such a small crop this year – the first time in 15 years that we have had this much crop loss. Fortunately the trees all survived the winter well and we are glad the our crop last year for the orchard’s 75′th anniversary was so bountiful.